A notorious career thief who was once France's most-wanted man pulled off a daring jailbreak today, fleeing a facility in the Paris area by helicopter, prison officials said. As soon as the gangster flew out of jail, a massive search was launched by the French National Police across greater Paris. There were no reports of injuries in the latest jailbreak, and Faid is believed to be the only prisoner who escaped. Back in 2013 he blasted out of jail using dynamite, he also took 4 prison wardens hostage during this attempt. The criminal careerist was serving a 25-year sentence for an armed robbery that led to the death of a policewoman in 2010 at the time of his escape. Two armed men climbed out, stormed the premises with assault rifles and set off bombs. 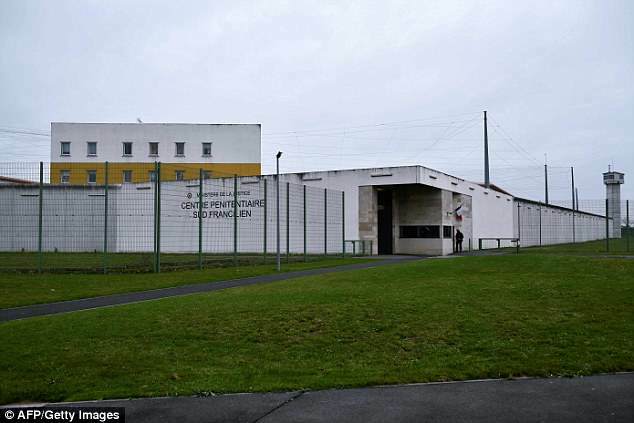 A union representative at Reau Prison, Martial Delabroye, told BFM television that "two men dressed in black, wearing balaclavas and police armbands" entered in the prison to look for Faid. After the helicopter that flew Faid out of jail was set on fire, its occupants fled by vehicle in a black Renault Megane which they later dumped in the underground auto park of a shopping centre near the airport. Faid was talking with his brother at that time. Faid was freed in 2009 after serving 10 years. He was arrested in 2011.